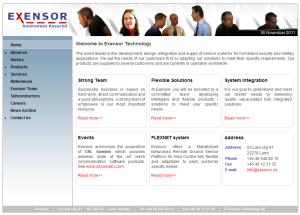 Exensor provides hardware solutions for detecting as well as identifying vehicles and people, using audio and vibration pattern extraction and matching. Abiro worked together with Exensor and a law firm to make an IPR analysis of an alleged infringer on Exensor’s technologies. Exensor won legally and the competitor was refrained from continuing pursuing their efforts.